I originally wrote this shortly after the incident happened but forgot to publish it. So, here it is, late, but still relevant. After the recent lethal biker shootout in Waco Texas, a number of high-profile Leftist commentators pointed out that the conservative media refused to call the biker gang "Thugs." The word "Thug" has a negative racial connotation, they argued. One conveniently applied to African Americans, but not biker gangs, particularly White biker gangs (is there any other kind.) So, being enlightened, they immediately spotted the racist hypocrisy, the troubling double standard and moved to expose it for what it was. By doing this, they found a clear a parallel between Waco, Baltimore, and other riot-torn cities. Of course, the term "Biker Gang" has never been used a compliment. It has always represented lawlessness, even if, at times motorcycle gangs have been romanticized, not unlike urban thugs reveling in the thug life. And, no one, but no one, saw Waco as a protest, just as no rational person thinks of the Hell's Angels as political activists. 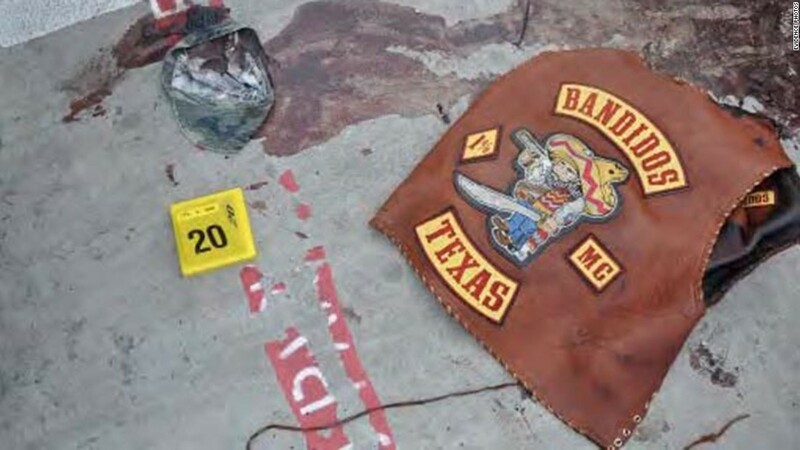 The fact that those involved in the Texas shootout were a biker gang—well, the terminology seemed somehow, appropriate. Likewise, no politician in Texas said, "These are our children" as the district attorney had said about protestors in Baltimore—thereby offering almost no distinction between the real protestors and the thieves, vandals and violent criminals. Neither did the Mayor of Waco make room for this lawless group of angry white-bikers to wreak havoc on the local businesses as a mode of self-expression, which also appeared to be the case in Baltimore. “I mean, where was the National Guard in Texas?” Some commentators asked? The answer; they weren't needed. Why? Because the police immediately did their job in Waco, unlike Baltimore. Perhaps there is a double standard, though. No one rushed to suggest that being a poor, dumb Cracker was a sufficient cause for violence—due, no doubt, to their collective economic disenfranchisement. That would be one glaring double standard. But then, all White folk are apparently doctors and lawyers, living in gated communities and carefully isolated from crime and lawlessness. At least, that's the way some people see it, even if it doesn’t come close to reality. The simple truth is, the color coded terminology used in both cases acts as a basic identifier, enabling Americans to quickly grasp what's happened and who's involved. Terminology, by the way, that reflects the way both groups refer to themselves. But, by playing the race card, those few Leftists enlightened enough to see the hypocrisy, could then calculatedly ignore the facts and light a racial fire where none existed, spreading the poison like a wildfire burning dry tender. ​If this is what passes for enlightenment, then, we are all, in deep, deep trouble. Words don't make us who we are, no matter how negative. They may cause us great pain, impacting our lives and our self-image, but, it's the way we choose to respond to them that defines us. Inevitably, if we see ourselves as perpetual victims—which may be the most negative stereotype of all—we will likely live as victims, in perpetuity. That is the real intent of the far Left in our country. To create a perpetual culture of victim-hood. The rest of it is just a word-game, nothing more.